The World Health Organization’s (WHO) definition of health ageing is, “the process of developing and maintaining the functional ability that enables older people to do what they value”. With a rapidly ageing global population, ensuring that older people are able to maintain functional ability across the life course is critical. 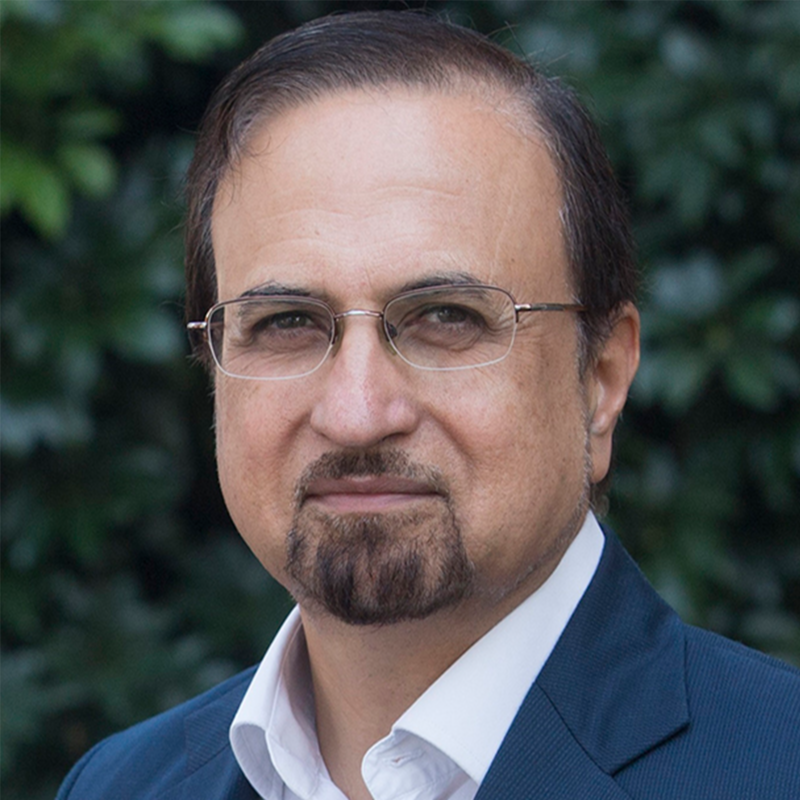 Among older persons worldwide, between ten and twenty per cent report experiencing mild cognitive impairment and some 46.8 million people are estimated to be living with severe cognitive impairment and as such, mitigating cognitive ageing and severe cognitive deterioration is an important global public health issue. Ongoing efforts to stop the progression of cognitive ageing and cure severe cognitive pathologies have yet to yield long-term, effective results. Furthermore, these efforts are costly; in 2015, the global cost of dementia was an estimated $818 billion. With this in mind, it is important to identify cost-effective, accessible solutions to reduce cognitive ageing and severe cognitive pathologies and to enhance cognitive function, enabling alternative neuronal interconnections to compensate for change caused by cognitive ageing and severe cognitive pathologies. One such intervention is to implement various protective factors to maintain and increase older persons’ cognitive reserve, while addressing and mitigating risk factors that decrease cognitive reserve. 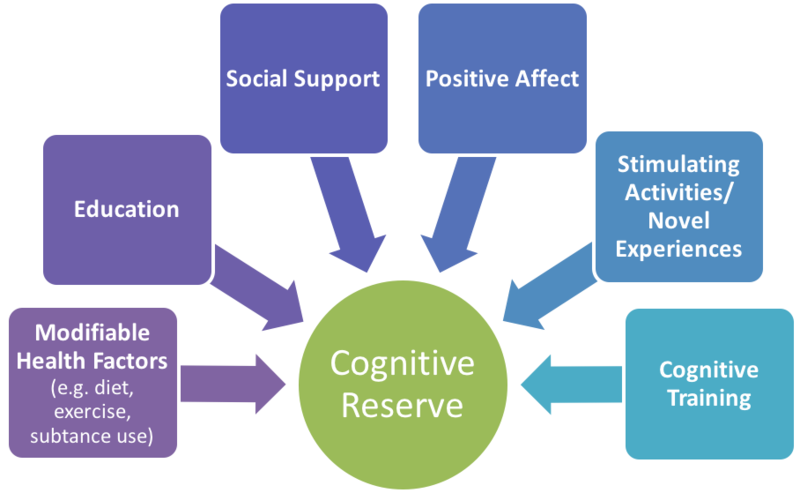 Cognitive reserve is relevant given both the onset of dementia and the natural changes in brain function experienced by older persons. Individuals with greater cognitive reserve consistently less cognitive decline and later onset of dementia, even when brain scans indicate tissue deterioration. Researchers believe greater neuronal connections and lifetime exposure to cognitively stimulating experiences increase cognitive reserve. When a person with high cognitive reserve experiences cognitive decline, cognitive compensation occurs, and the individual is able to deploy alternate connections and problem-solving strategies. Because cognitive reserve is believed to be the result of lifetime exposure to cognitively stimulating experiences, researchers argue for brain-stimulating initiatives to be implemented from infancy in order to build and maintain cognitive reserve. Malnourishment and lack of stimulation in early childhood, when 93 per cent of brain growth occurs, can have detrimental effects on brain development and cognitive reserve. These enduring problems include reduced rates of active glial cell multiplication, reduced myelination, and reduced growth of neuronal dendritic trees and accompanying synaptic connectivity. 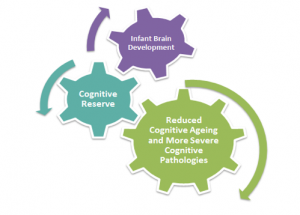 Although early cognitive reserve acquisition is crucial, current research demonstrates that one can increase one’s cognitive reserve even in old age. Thus, implementing various protective factors to maintain and increase older persons’ cognitive reserve, while addressing and mitigating risk factors that decrease cognitive reserve, can be viewed as viable strategies to maximize cognitive function rather than belated responses to severe cognitive pathologies. This approach enables older persons to maximize their capacity to live autonomously in their communities. In response to the growing body of research and the global attention regarding the incidence of cognitive disorders, the International Federation on Ageing (IFA), in collaboration with DaneAge, convened its 2nd IFA Global Think Tank on Ageing in Copenhagen, Denmark (24-25 April 2017) to focus on the area of cognitive reserve. This meeting was attended by a multidisciplinary group of experts from Australia, Canada, Denmark, Greece, Ireland, Switzerland, the United Kingdom, the United States, as well as the WHO.